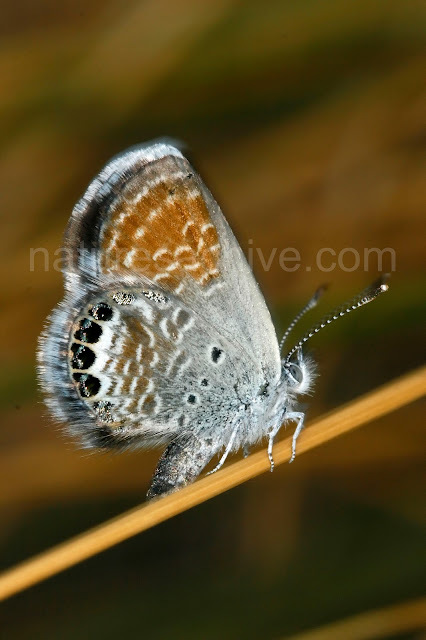 The Western Pygmy-Blue's (Brephidium exile) are performing very nicely at the moment, with a dozen or more taking up evening and nighttime residence in our Pink Mulhy Grass. As a follow up to last week's Western Pygmy-Blue Butterfly article, here is a portrait of one. Be sure to click on it for a full sized view. Again, that stick it is sitting on is actually a blade of grass, just to give you an idea of how tiny this butterfly is. This photo was shot with a Canon 100mm f/2.8 macro, at its closest point where it could still focus. As always, the photo is available for purchase on http://www.naturesarchive.com. Look at him! He's absolutely stunning!!! Get automatic updates about my nature observations - subscribe to Nature's Archive RSS Feed! The most concise resource for what you'll need for your baby!